Matthew A. Fuller, PharmD, FASHP, BCPP, BCPS, Clinical Pharmacy Specialist in Psychiatry, Louis Stokes Cleveland Veteran’s Administration Medical Center, Cleveland, OH. Patrick Finley, PharmD, BCPP, Professor of Clinical Pharmacy, University of California San Francisco School of Pharmacy, San Francisco, CA. Jerry R. McKee, PharmD, MS, BCPP, Regional Dean, Wingate University – Hendersonville School of Pharmacy, Hendersonville, NC. Dean M. Najarian, PharmD, BCPP, Janssen Scientific Affairs, Medical Science Liaison, Wrentham, MA. 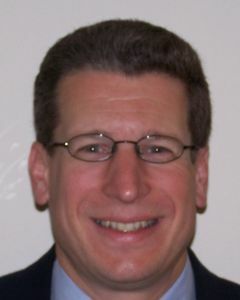 Michael Z. Wincor, PharmD, BCPP, Associate Professor of Clinical Pharmacy and Associate Dean for Global Initiatives and Technology in the School of Pharmacy, University of Southern California (USC) and Associate Professor of Psychiatry and the Behavioral Sciences in the Keck School of Medicine of USC, Los Angeles, CA. These individuals and all Foundation Board members commit to support the Foundation and advance its mission by being alert for new opportunities, assisting in capitalizing on those opportunities, providing advice and counsel, facilitating connections and collaborations, and by serving on planning and implementation work groups to advance the purpose, initiatives, and objectives of the Foundation. Charles F. Caley, PharmD, BCPP, Clinical Professor, University of Connecticut School of Pharmacy, Hartford, CT.
Carla D. Cobb, PharmD, BCPP, Psychiatric Pharmacist, RiverStone Health Clinic, Billings, MT. Judy Curtis, PharmD, BCPP, FASHP, Director, Medical Science Liaison, Sunovion, Baltimore, MD. Julie A. Dopheide, PharmD, BCPP, Professor of Clinical Pharmacy Psychiatry and the Behavioral Sciences, University of Southern California School of Pharmacy, Los Angeles, CA. Ann L. Richards, PharmD, BCPP, Pharmacy Director, San Antonio State Hospital & Texas Department of State Health Services, San Antonio, TX. Melody Ryan, PharmD, FCCP, CGP, BCPS, Associate Professor, University of Kentucky College of Pharmacy, Lexington, KY.
Stephen R. Saklad, PharmD, BCPP, Director of Psychiatric Pharmacy Program, The University of Texas at Austin College of Pharmacy and San Antonio State Hospital, San Antonio, TX. Brenda K. Schimenti, Executive Director, College of Psychiatric and Neurologic Pharmacists and College of Psychiatric and Neurologic Pharmacists Foundation, Lincoln, NE. Roger W. Sommi, PharmD, BCPP, FCCP, Professor of Pharmacy and Psychiatry, University of Missouri – Kansas City School of Pharmacy, Kansas City, MO. Barbara G. Wells, PharmD, FCCP, FASHP, Professor Emeritus and Dean Emeritus, The University of Mississippi School of Pharmacy, Bentonville, AR.